Nature’s Way originated from a circumstance we can all understand-a family’s desperate need to overcome a personal health crisis. Back in the late 1960s, Tom Murdock, the founder of what is now Nature’s Way, needed a solution to help his gravely ill wife. After trying conventional medicine without success, Tom and his wife turned to the traditional Native American knowledge of “medicinal plants” growing in the Arizona desert. As a result, she recovered and lived an additional 25 years. Tom Murdock’s pioneering spirit did more than save a life-it led to the renaissance of herbal medicine in America. As word spread about his wife’s recovery, Tom set out to find other healthy treasures growing in the Arizona desert. By 1969, Tom and his family had eight new herbal remedies to share with others and thus began the legacy of Nature’s Way. When you’ve been pioneering natural health for over 40 years, you develop an impressive list of “firsts” among major dietary supplement companies. Many of these innovations initiated by Nature’s Way have shaped how America thinks about natural medicine. Here are just a few: We have a state-of-the-art, pharmaceutically licensed, industry-recognized GMP manufacturing facility, and invested in it well before it became more common to do so. Today, our manufacturing capacities have expanded and we’re able to bring even more good things to you. As one of the most technologically advanced supplement manufacturers in the United States, we continue to push the boundaries forward on quality research, testing and introducing new ingredients. We offer over 500 premium nutritional and natural products, including single herbs and herbal extracts, homeopathic remedies, vitamins, minerals and specialty products. DSM is a global science-based company active in health, nutrition and materials. By connecting its unique competences in Life Sciences and Materials Sciences DSM is driving economic prosperity, environmental progress and social advances to create sustainable value for all stakeholders simultaneously. DSM delivers innovative solutions that nourish, protect and improve performance in global markets such as food and dietary supplements, personal care, feed, medical devices, automotive, paints, electrical and electronics, life protection, alternative energy and bio-based materials. DSM’s 24,500 employees deliver annual net sales of around €10 billion. The company is listed on NYSE Euronext. • Health – Our health solutions cover everything from advanced biomedical devices that help people live active lives for longer to health-enhancing nutritional ingredients. • Nutrition – Our solutions for human and animal nutrition span everything from vitamins and carotenoids to taste enhancers and other food processing ingredients; and from unique animal feed additives and hair and skin care ingredients. We’re also heavily involved with the World Food Programme in the fight against ‘hidden hunger’. • Materials – Our materials solutions include a number of increasingly green thermoplastics and resins for use in everything from vehicles to paints to sports equipment to fiber optic coatings, not to mention Dyneema®, the world’s strongest fiber. Name of Company AFC-HD AMS Life Science Co.,Ltd. mail order sales and wholesale of dietary supplements and cosmetics. Nihon Preventive Medical Laboratory Co., Ltd.
Collection of health-related information and R&D of dietary supplements. Planning and production of health information programs, publication of health magazines. A Kanpou for medical care, a general practitioner medicine and, production and sale of health care merchandise. 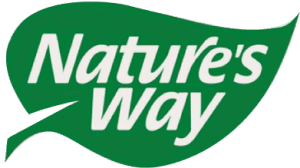 Our purpose is to contribute to the creation of a bright and sound society of healthy, long-living people through the production of quality dietary supplements and natural cosmetics. AFC-HD AMS Life Science is a general OEM ( original equipment manufacturing ) manufacturer that delivers quality products to meet the entire spectrum of customer needs. Its thoroughly customer-centric sales force, Product Planning Department and Development Department, both of which comprise highly professional staff members, and Production Department, which is based on a reliable quality assurance system that renders the company a GMP-certified dietary supplement manufacturer, work together to produce safe and quality products with a strong sense of responsibility, in close coordination with individual customers. Relationships of trust built between us and our customers are what matter most to us, and are what we mean by “faith,” as an OEM manufacturer of dietary supplements and natural cosmetics. AFC-HD AMS Life Science Co., Ltd., a general OEM (original equipment manufacturing) manufacture, are possible to correspond to each customer’s various demands adequately by using “AMS Power”. “AMS Power” is a corporate posture to make customer’s “dream” comes true which unite cooperate with the sales and marketing department devoted to customer-centric, product planning and development department concentrated professional staffs and production department had pharmaceutical level of quality control system. We believe that for this confidential relationship is an important power source to lead our company to the future and engage offering certain products to you. WEIDER is an Active Nutrition company based in Phoenix, Arizona with over 70 years of expertise. Our Mission is to provide consumers with the best products that Nutritional Sciences has to offer for living a longer, stronger and healthier life. Weider would like to thank you for your continued support and promise to deliver upon our commitment in providing better products at an affordable price. A Heritage of International Leadership For nearly 70 years Joe Weider, “The Master Blaster” himself, and the Weider® brand have been educating people around the world on all aspects of bodybuilding, fitness, health and wellness. Weider® has earned the trust of health-conscious people for one simple reason — for well over half a century, we have put the quality and efficacy of our products above everything else.